Being a dance educator for 12 years I have discovered that kids absolutely love dance parties! Parents and teachers love them too, but it can be a real struggle to find fun kids dance party games to keep them engaged for a long period of time. So, I’m here to give you my awesome, top 5 kids dance party games that will keep your kids active, engaged and totally having a blast! Limbo Game: Grab a broom stick and use it for Limbo! Have all the kids lineup, tell them to put their arms out like airplanes, look up at the sky and take turns going under the stick bending their backs and adding a little shoulder boogie. Put on any high energy song (it doesn’t necessarily need to be the limbo song, I recommend any Kids Bop song like What Does the Fox Say? ) and keep the line going until the song ends. Most importantly, make sure you keep lowering the stick, for kids love the challenge of trying to make it under! Cones Game: Buy some cones on Amazon or a Sporting Goods store ($5-$15) and once you have them, place the cones in one line spread out. There are a few fun things you can do with them: Jump over them like a frog or different kinds of animals, Jump apart together or jumping jacks, run in and out of the cones like driving a race car, or with a partner, hold hands facing each other and skip together down the line with the cones being in the middle of their bodies. Dance Poses Game: Kids love this one! Have them grab a partner or they can go solo, put on a fun song, ( I recommend Happy by Pharrell Williams) and tell them they have a few minutes to create 3 Dance Poses, can be anything! ( tip: google dance poses for ideas) and when they are ready, have each take turns dancing across the floor until you say, Pose 1! Pose 2! Pose 3! And watch them bust out their cool poses! Cha Cha Slide Game: Buy the song, Cha Cha Slide on iTunes and just play it! It’s that simple. This song tells you what to do so it’s super easy for kids to follow along. This song is called a directive movement song where you don’t have to think about the choreography, it simply tells what to do with your body! Cupid Shuffle and YMCA are good ones too! Freeze Dance Game: This is the favorite among all kids! Pick a high energy song with a good beat ( Uptown Funk is great!) and play it and stop the song frequently and say, Freeze! Then the kids have to freeze their bodies. If one moves while frozen then they are out. Keep playing until the last person is standing! You can also just play it for fun without doing the game so nobody can get out. Yay! Have a blast with the Top 5 Kids Dance Party Games and most importantly, HAVE FUN! Bringing music into the lives of children is our joy and our passion. Now we are creating a new way for more children to benefit from early childhood music education. Now You Can Teach Preschoolers Music! PlayMotion Music™ is now available for teachers all over the world. PlayMotion Music is our program designed for teachers who aspire to bring music and movement into their classroom but don’t have musical training. Click here to get your FREE membership! It’s a super popular song in my music classes. The children get to move their bodies like different kinds of animals including a spider, a snake, a dolphin and an elephant. During this song the children will be crawling, hopping and flying around the group space. Make a point about the “Invisible Bubble” in your introduction and then be alert for any bumping or pushing during the song. When children do bump or push their friends gently remind them to move where there is room for their body to go. Now think of all the animals in the whole world and move you’re body like any animal that you choose… here we go! We are off and running! After a great two week break from teaching classes It felt great to get back to working with the children yesterday. 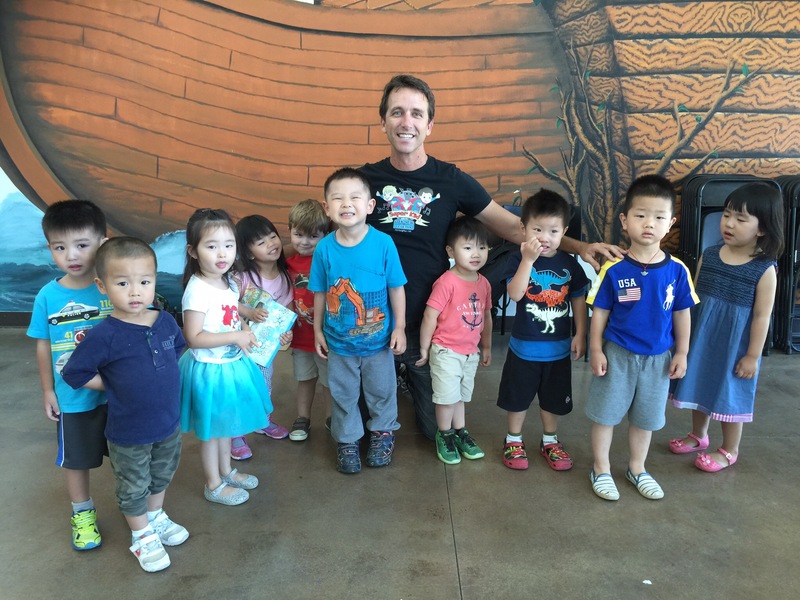 As I started the first class of the week at a preschool in Long Beach, CA I was reminded of how rewarding it is to bring music into the lives of young children. Their energy and joy fills my heart with gladness and puts a big smile on my face as we sing, dance jump and fly to our music time songs and activities. To celebrate the new year here is a gift for you. A FREE Preschool Movement Song! I know you and the children in your classroom and home will love this FREE Preschool Movement Song! Thank you from Nick Young and the Young Music Company. click the image above to hear samples Wonderful new songs that cue preschool and kindergarten age children and help them to be prepared to move from Group Time to Outside Time, from Sharing Time to Nap Time and for every aspect of daily life. Preschool transition songs are one of the best tools that teachers (and parents) can use to help make the day flow with fun, focus and harmony. Children can sometimes have a hard time adjusting when the time comes to move from one part of the day to the next. With twenty seven years working with music in preschools, we know how classrooms work. We understand the needs of teachers and their students. That is how we were able to create these brand new, customized songs for each aspect of the day. Here is the list of the preschool transition songs on the PlayMotion Music System CD. This preschool transition song brings a warm greeting to the children when they start their day. This preschool transition song get the children excited about all the activities they will experience in group time. This preschool transition song let’s the children know that it’s time to see what their friends have brought to share and to get ready to share what they have brought from home. This preschool transition song makes clean up time a high energy game they will enjoy. This preschool transition song let’s the children know that it’s time to line up for some outside play time. This preschool transition song reminds they children to wipe their feet and wash their hands as they transition to all the wonderful activities they will experience inside the classroom. This preschool transition song gives the children a positive feeling about washing their hands, eating their lunch, getting exercise outside and many other aspects of their day. This preschool transition song gets the children excited about snack and meal time and eating delicious and nutritious foods. This preschool transition song helps the children fall asleep at nap time. This preschool transition song gently and cheerfully wakes the children up from nap. Teachers are afraid that the children will get wild and be difficult to control. But the truth is that, given the right tools and training, any teacher, even those with no musical experience, can enrich their classrooms with fun, interactive music times! This is why I created the PlayMotion Music System™; to give non musician teachers the tools and training to create high quality music groups for the children that they work with. The PlayMotion Music System comes in the form of monthly curriculum modules that include a DVD, a CD and a step by step handbook that give teachers everything they need to bring music into the classroom, no musical ability required. Teachers participate in a interactive workshop where they have a chance to participate in all the activities they will later be guiding the children through. In addition, teachers have access to me live, via video conferencing, phone or in person depending on their location, for follow up coaching sessions. The PlayMotion Music System is getting started now in a few select Head Start programs. Please contact the Young Music Company™ to learn how your school can participate in this enriching, rewarding and above all FUN approach to early childhood music education. Contact us with the form below to get more information on the PlayMotion Music System and how to get started. Here are Nick & Jen’s Top three kids movement songs! Use these songs in the classroom, home and even in the car to get kids (and parents and teachers) moving and interacting with positive, imaginative, creative songs from Nick the Music man & Jen the Fairy Dancer. Nick & Jen have been bringing the joy of music into the lives of children for over twenty years. Now they are sharing their amazing music program with children, teachers and parents all over the world! Hop On One Foot: This is a directed movement song. The children stand and hop on one foot at a time. Then they lay down and take a rest before jumping up to hop some more! 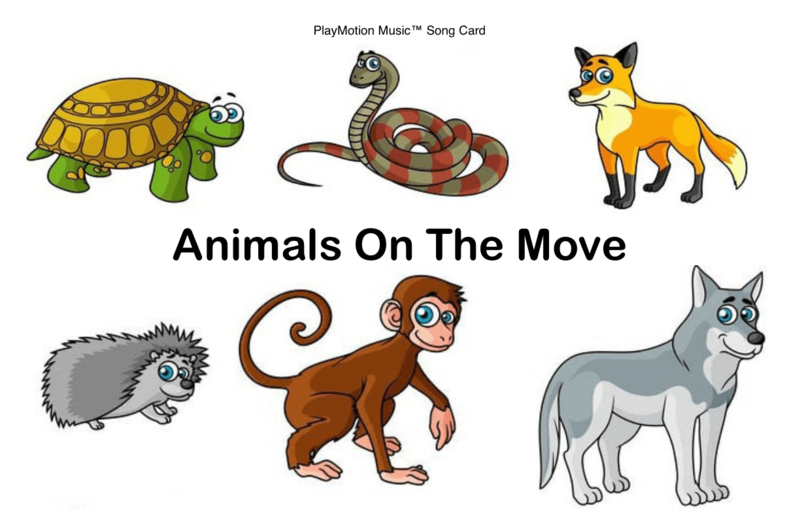 Animals on the Move: This is an imaginative movement song. The children get to move their bodies like different animals including a spider, snake, dolphin, bird and elephant! The Happy Dance: This is a directed movement song with a positive message about overcoming adversity and having a positive attitude even when life gets challenging. The PlayMotion Music System™ is a series of multimedia curriculum modules that puts our creative and stimulating kids music and movement program in your hands! Teacher Training Workshop: To kick it off I hold a workshop with all the head teachers to introduce them to the program. This will be a fun, interactive experience where I will take the teachers through many of the activities that they will be presenting to the children, give them training in my method of class management for preschool music time and introduce them to my approach to early childhood music education. • Each class will need a set of hand percussion instruments that the children will use for a portion of the music time. I can give you a list or I can supply them to you directly. California Preschool Guidelines: This program covers many of the California Preschool Program Guidelines such as: promoting physical well-being and motor development, promoting positive social and emotional development, fostering language development, instilling cognitive development and of course visual and performing arts. Across the Floor: Have each child take turns going “across the floor”. *Get creative with fun dance moves across the floor like, hop on one foot, jump & clap, tip toe, march their knees, act like their favorite animal, walk backwards, just have fun! Cha Cha Slide: easy to find on itunes and the music tells you what to do! Limbo: get a broom stick and play any song and have kids line up and dance under the stick! Hip Hop Hop: It’s like, “duck duck goose” but you say, “Hip Hop….Hop” and sit in a big circle, pick one child to go first in which they will begin by dancing in the middle of the circle, then after a short while, you cue to pick someone else, and they go around saying, Hip Hop… by taping on each sitting child’s head and when they chose someone, they say, “HOP!”…then it’s that child’s turn to dance in the circle! Freeze Dance: This is the ultimate favorite! Have kids dance however they want to a fun song, and when you pause the song, you say, Freeze! And the kids, freeze their bodies! Whoever is still moving, is out. Now, I sometimes play it this way, but most of the time I just play for fun depending on your group of kids! Looking for great dance music for kids? Check out Hip Hop Jen’s Top 10 Best Kids Dance Songs and get groovin! Question: How do I get my kids off the couch and away from their video games, TVs, iPads and iPhones and involve them in something that is active, engaging and fun?!? Question: Where can I find upbeat, kid friendly songs to get my kids dancing and motivate them to exercise? Question: Do you have dance routines that will be easy for my kids to learn? Do you have good music and dances for parties? Who doesn’t love a good Kids Dance Party? Kids Dance Parties are special because you can have one anytime and anywhere! It can be for celebrations like holidays, birthdays, slumber and pool parties or simply just because! With the right music and activities it’s the best thing ever for kids! I’ve always loved dance parties as a kid and ummm, I still do! This is why I created my own Dance Party album and Videos! It’s called, Hip Hop Jen: Kids Dance Party! Yay! Each song is accompanied by hip hop dance beats combined with creative and imaginative lyrics! Kids are dancing like robots, hopping like a hip hop bunny, striking a pose, playing magic freeze dance and so much more! The videos show you easy to follow along dances with a creative animated background to the keep the kids engaged; performed by me! So, today, I am offering streaming access to my Dance Party album and the Videos for a super duper low price, like over 60% low. Say What? Why? Because I truly want you to have access to this high energy activity that is so special, fun, interactive, engaging and imaginative that your kids will love it and you don’t have to worry about them being couch potatoes all summer! Hip Hop Jen’s Dance Party 10 Videos and Songs all in one package! You will have instant access to the 10 videos streaming online so you can play them on your iPhone, computer, iPad or Apple TV and many other devices! You can plug it in to a boombox or your car stereo and just listen to the songs as well! As a Bonus, Hip Hop Jen is giving you the lyrics and choreography notes for each dance! We normally offer Hip Hop Jen: Kids Dance Party Album for $10, and the Videos for $20. Right now we are offering a special sale price of $9.98 for both Hip Hop Jen’s Dance Party Videos and Album in one! That’s more than 60% off! Yep, that’s it, $9.98 for 10 High Quality videos and songs that you will have instant access to so you can immediately stream it from your phone or whatever device you choose! Click the button above to get instant access to all the Dance Party videos! Important: Just click the link that says “Return to Merchant” button on the PayPal receipt page to receive the videos. Discount available for a limited time.